Montreal is brimming with talent, and it’s not just musical: we put on a variety of plays and productions all year round. Taking in a show is a step away from the usual night out, but we think it’s worth your while. Here is your monthly dish of shows you should definitely check out. This list will take you from family fun to humour for adults that will make you feel like a kid again. Enjoy responsibly! And don’t forget, a good show is a great way to spend time with your loved ones. We know this one isn’t in January, but we couldn’t resist. 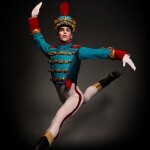 Les Grands Ballets Canadiens presents this holiday classic. 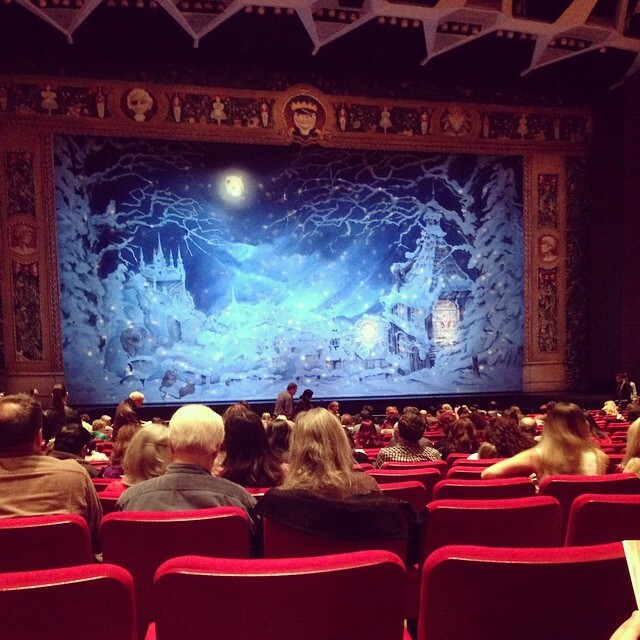 Even if you’re not a fan of ballet per se, TheNutcracker is mesmerizing and enchanting. 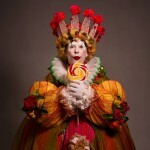 This adaptation of the original Hoffmantale is stocked with a full orchestra, over a hundred dancers, costumes, make-up,and everything you need to be transported into the world of little Clara and hernutcracker. It’s also a great show for the kids. In fact, an hour before each performance, children are invited to a book reading of Hoffman’s tale, a prelude to The Nutcracker. One of these lucky children will also be selected to star as the‘Mouse of the day ’ in the show! The Nutcracker Fund for Children is also a greatway to help underprivileged and sick children attend a free performance of theshow. Evenko presents Jersey Boys, the story of Frankie Valli and The Four Seasons. This show has won several awards including a Tony Award for Best Musical, a Grammy, and the 2009 Olivier Award for Best New Musical to name a few. The not-so-secret to the success of this show is good music, the Frankie Valli story, humour, dancing, and that ‘Nu Joy-z’ accent. If you’d like to see a quality show that doesn’t disappoint, look no further. If you’re looking for something a little bit different this holiday season, improv is the way to go. You may feel a touch apprehensive about seeing a show that is unscripted, but you are in good hands with the folks over at Theatre Sainte-Catherine. Improvisers are randomly selected to be in scenes and the audience votes the best performers. The result is only one winner at the end of the night. There is also a free improv workshop before each show if you are feeling adventurous. It is a safe space to explore your performance abilities and lots of fun to do with a group of friends. Anywhere from 8-12 improvisers are chosen from the workshop, based on their level of improv (beginner to expert), to be in the 8:00 pm show. 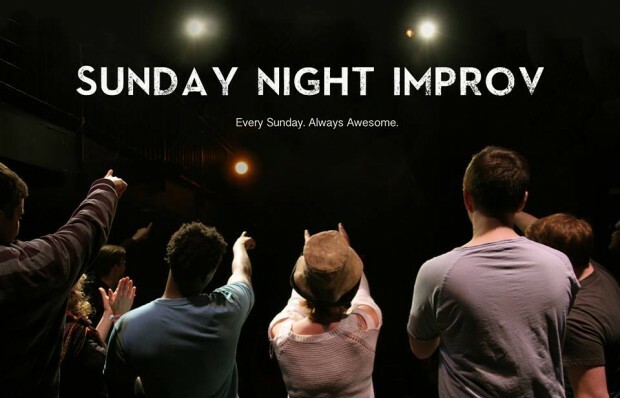 We must also mention Monday Night Improv, which is for veteran improvisers. The format is similar; same cost, location, and time but the show is on Monday. A guaranteed fun night for all! 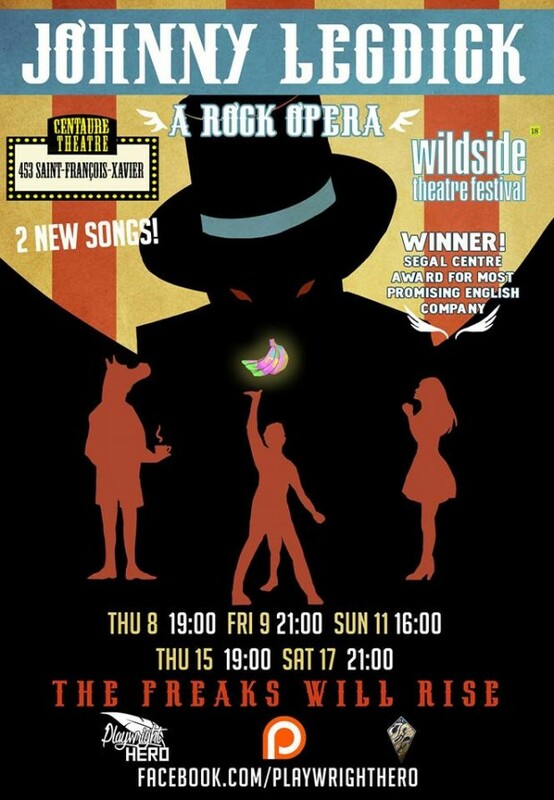 Start the New Year off with some silliness by going to see Mainline Theatre’s original production: Johnny Legdick; A Rock Opera at Centaur Theatre’s Wildside Festival. If you are wondering what type of humour you will see, it is all explained in the title of the show. It is a story of misfits who are cast out of society, only to find each other to be trapped in a circus of freaks. Johnny Legdick and his friends Hannah and Steve the Steed must flee the evil Suckadacockas’s circus in this story of oppression, revolt, and the rejection of norms. This show may be more on the fringe thematically, but it has earned much critical acclaim. You are in for some very catchy songs, performed by The Jem, wonderful performances, and lots of laughs.